evermore designed homes is a specialist Queensland builder, creating architectural homes tailor-made for the lifestyles of our discerning customers. Description At evermore designed homes, we understand the need for personalised home design and high quality construction that meets your needs. Our three senior partners have more than 60 years' experience in delivering exquisitely designed homes with distinctive features, inclusive pricing and superior workmanship. We create an enjoyable and rewarding building journey for clients from the first design briefings to the day we hand over the keys to their brand new designer homes. Our personal service and great attention to detail is why buyers keep coming back and why we consistently win awards for our new homes and renovations south-east Queensland. General Information evermore designed homes is a one stop shop for your dream home. 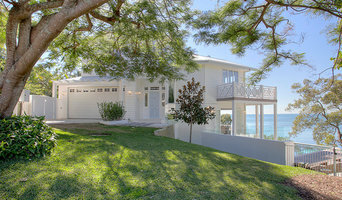 We have built homes from Bribie Island to Kingscliff in NSW. We are especially well represented in some of Brisbane's most sought after suburbs, such as Bardon, Bulimba, Hawthorne, Manly and Grange. 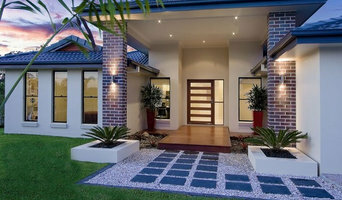 We've been custom designing and building homes in Queensland for over 20 years. Our passion lies with crafting unique homes for our clients, as well as providing fixed design options to suit their dream home ideas. As knock-down rebuild specialists, we can ensure our clients stay in the location they love, with a new home to match! At Indigo, our range of over 60 house designs cater to all sizes and shapes of families, lifestyles, land, environments and budgets. We also offer a degree of flexibility in alterations to make sure the design you choose is the perfect fit for you. We constantly review and monitor; customer feedback, new innovations in materials and inclusions, industry best-practice, government legislation and Australian Standards to ensure we deliver a range of house designs that are contemporary, relevant, functional and stylish. Many of our designs feature sustainability design options above and beyond industry standard. Chapman Builders is a valued Brisbane institution and one of Queensland’s longest established building companies. Our story is one of hard work, passion and aspiration. Our time in business is an endorsement to the Chapman family members who came before us and proudly built the construction industry in Brisbane since 1869. For us, building is more than the act of construction. At Chapman Builders, building is about creation; it’s about setting foundations and shaping history. We believe every project has a fascinating story and we want to be part of the narration. Our extensive industry experience provides us with great understanding, and we bring this insight to every project, large or small. Our team are just as familiar working alongside leading architects on commercial projects as they are working with families building or renovating their homes. Our builders’ attention to detail, efficiency, and commitment to quality and professionalism remains the same on every job. Here at NuTrend Quality Homes we understand that not everyone's idea of the perfect home is the same, that's why we encourage you to sit down with one of our experienced new home consultants and custom design your dream home at no extra cost. We pride ourselves in building excellence. We are incredibly passionate about building quality homes, yet we're just as passionate about ensuring our clients enjoy a positive building experience. Our reputation is our most valued commodity and we do whatever we can to uphold this high-quality standing in the industry. We genuinely care about each and every home we build. When you build with NuTrend Quality Homes, you're more than just a number in our system. We pride ourselves on quality, both in construction and customer service. 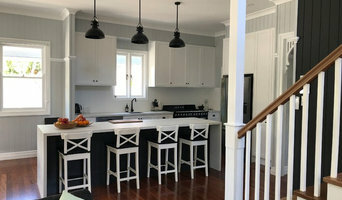 Smith & Sons Carindale are experienced, professional renovation builders who provide quality renovations and extensions done your way, from concept to completion. 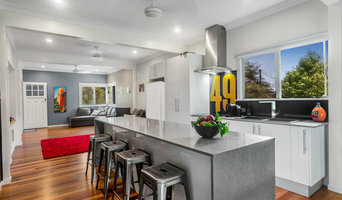 Smith & Sons Carindale can do any type of home renovations and extensions, no matter the size or the style and the workmanship is of the highest level of quality. BUILDERS WITH VISION Toscano Constructions is built on a family legacy of exceptional craftsmanship and advice. Founded in 1979 by Antonino Toscano and now led by his son Sebastian, we specialise in custom architectural homes and boutique property developments. We understand that building property is more than a financial investment; it’s an emotional one too. When you engage us, you are working with a builder who truly shares your vision. Our team begins collaborating with you early in your project to understand the essence of how you want the home to look and feel. At éclat building co. we pride ourselves on renovating and building homes with warm, simplistic and sophisticated éclat. We value the personal relationships we build with our clients. Which is why you’ll work with the same builder from start to finish on your renovation project. Andrew Marer, company director and builder, will be with you through every step of your renovation journey. As your main contact, Andrew will listen to and adapt your concept to ensure the design and quote meet your needs. He’ll be there every step of the way from daily oversight to final delivery. By ensuring one builder is across your project from start to finish, you can be confident your renovation will run smoothly and your vision for your home will become a reality. At éclat building co. we specialise in home renovation projects. Our goal is to create a rewarding and enjoyable renovation experience for you. We pride ourselves on customer service, communication and creating lasting relationships with all our clients. éclat building co. focuses on high quality workmanship and products. We source products and trades from Brisbane’s leading suppliers and service providers. Because we use the best products and tradesmen we offer our clients a 7 year guarantee. We are also very proud to be the preferred builder for the Reece and Highgrove Bathrooms Fortitude Valley stores. At éclat building co. we know how important your house is and we are confident that together we can create the perfect home to meet all your needs. Whether you're looking at extending your home, giving your house a makeover or updating your kitchen or bathroom, we want to work with you. Contact us today and add some éclat to your home. Utimate Property Renovations has decades of experience renovating Brisbane properties and is a family owned, BSA trade certified business. For all home and commercial property renovations, specialised carpentry and general building works we provide a FREE Quick Estimate service. Simply complete any of the forms on this site and we'll help kickstart your project - absolutely no obligation, FREE, Fast & completely hassle free. Just as our name states, we are very versatile in what we can build. At Custom Styled Homes, we have a diverse selection of standard home designs, which we can modify to suit your specific needs. Alternatively, our skilled in-house designers can also create a completely new custom home design for you. From granny flat homes, through to luxury homes we have the expertise and experience to create your next dream home. Servicing from Brisbane through to the Gold Coast. Established right here in South East Queensland, DRHomes is the team with the home ground advantage. Brisbane and the Gold Coast are our home turf. We understand the needs of the families that call it home, and we know how to build a home that delivers. We also know how to build a home that truly takes advantage of our spectacular climate and unique lifestyle. Founded by David Reilly, a carpenter’s son, DRHomes is a family-owned company with building in our blood. David brings to the business over 25 years of experience in the residential housing industry. He’s also supported by a handpicked team of local tradespeople and suppliers that do us proud on every project and deliver fantastic value for money without compromising on quality or service. Ultimately, our greatest supporters are our customers – a testament to our personal approach and our stunning homes. A decade ago we made a discovery in the ﬁeld of Home Renovation, speciﬁcally Kitchens & Bathrooms. When people consider making changes in their homes, more often than not they had a speciﬁc idea of what they want, but were facing a frustrating task in bringing it together and making it a reality. What we realised is that within the Industry there was few companies that gave the consumer a complete service from the initial design concept down to the installation all under one roof. Companies offered their clients either the design or the installation or various elements in-between. One had to be doing a near house rebuild to expect thorough detailed quotes or personalised service from a Builder. This was a niche we were ready to ﬁll in the market – and thus began InDesign Kitchens & Bathrooms in Brisbane. Here at InDesign Kitchens & Bathrooms our policy is to undertake your entire renovation project including the design conceptualisation phase, planning, project management, construction, plumbing, wiring, cabinet-making and installation - we have a full team inhouse, so the quality of delivery is exactly the same, every time. We believe that our clients know exactly what they want for their space in terms of basic design concepts, the look and feel that they are after. We operate with the simple philosophy of co-creation where we work with the client to sharpen their ideas and turn them into reality. Our team at InDesign Kitchens & Bathrooms is made up of industry professionals – designers, project managers, tradesmen, cabinet craftsmen and builders. This group of talented people has become a close family unit and function in a similar fashion. All our projects include each member of our team so you do not encounter different people handling different projects at any given time. For the protection of our clients, InDesign Kitchens & Bathrooms is fully licensed with the QBCC and we operate according to the governing rules of standards and practices that are set out for us within the Industry.